(Hollywood, CA) - February 22, 2018. 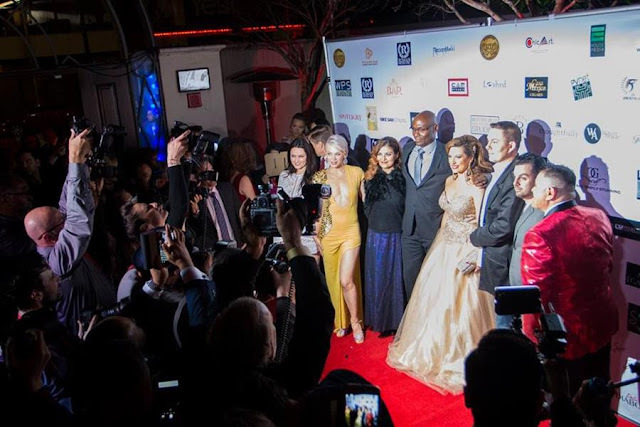 Roman Media Inc. announces their 4th Annual Red Carpet and Fashion Show Event in Hollywood to be held at Paloma Hollywood, on Monday February 26th. The event is a celebration of Women and Diversity in Film. Other guests include: Judd Nelson (actor, The Breakfast Club), Leslie Zemeckis (documentary director), Sofia Milos (actress, CSI: Miami), Bai Ling (actress, The Key), Robert Catrini (actor), Jennifer Jostyn (actress, House of 1000 Corpses), Massi Furlan (actor), Kika Magalhães (actress,The Eyes of My Mother), Patricia Chica (Latina Canadian award-winning filmmaker), Luciana Faulhaber (Latina actress, director of Don’t Look), Tonya Kay (actress, The Amityville Terror), Jennifer Lynn Warren (actress, American Horror Story), Sarah French (actress, My Uncle John is a Zombie), Jaqueline Fleming (actress, The Quad), Aylam Orian (actor,Stargate Origins), Tracey Bregman (actress, The Young and the Restless), Deborah Zara Kobylt (CNN, Access Hollywood Host), Sarati (music video star of River by Eminem), Alice Amter (actress, The Big Bang Theory), and many many more. Guests will enjoy an exclusive Haute Couture Fashion Show by award-winning, celebrity designer Shekhar Rahate. He is showcasing his newest collection of luxurious gowns and elegant dresses designed exclusively for this year's Oscars® red carpet events. In the last three years, hundreds of industry guests attended the Roman Media’s Red Carpet events in Hollywood. With such an incredible turn out, Roman Media Inc. joined ventures with a much exclusive venue, Paloma Hollywood, and a list of elite sponsors including: Ellie™ Hand Picked Stylish Activewear, Dream Hair LA, Cam Visuals, Oni Productions, Mary’s Cake Design, MikMeals, Romulo Canizales, You are Simply Stunning Make-up Team, Chann Creative, andChicArt Public Relations.